Celebrate the bride with this irresistible 'Bride to Be' sash. This unique yet timeless design promises to be a gift the bride will never forget. In traditional white, this bridal sash showcases dazzling gold foiled lettering. Fasten the matching gold ribbon for a perfect fit. 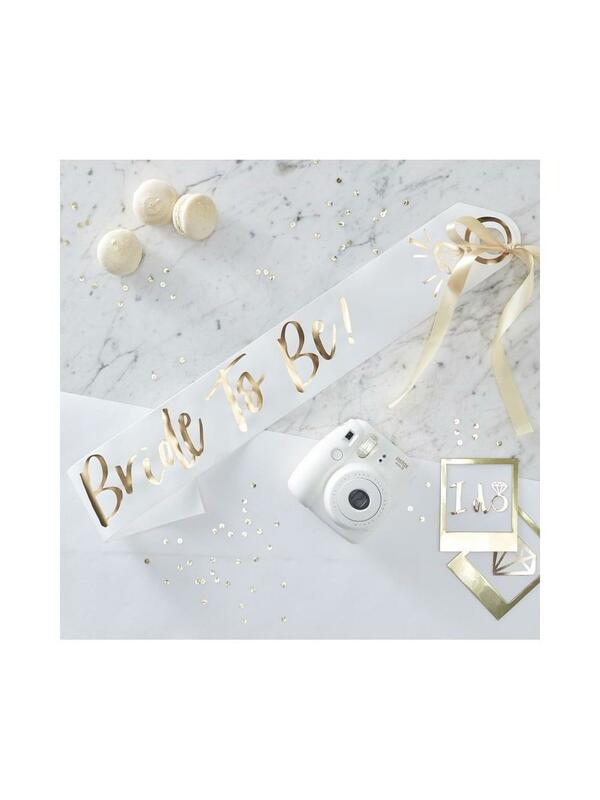 Prep the bride for Instagram-worthy photos and hen party memories that will last forever with a beautiful sash from Ginger Ray. Pair with 'Bridesmaid' and 'I Do Crew' sashes for the hens.